If you read our earlier post about keeping some Disneyland in your life between trips, you'll know we love making Disneyland recipes! 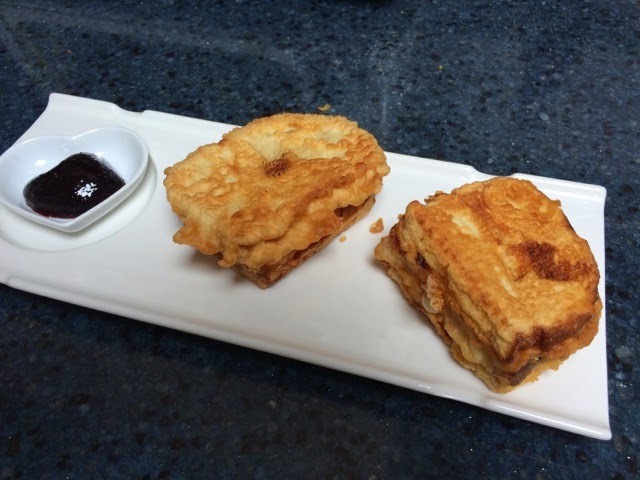 Today we tackled the Disney Food Blog's recipe for the Blue Bayou's famous Monte Cristo. Ok, here's the deal. 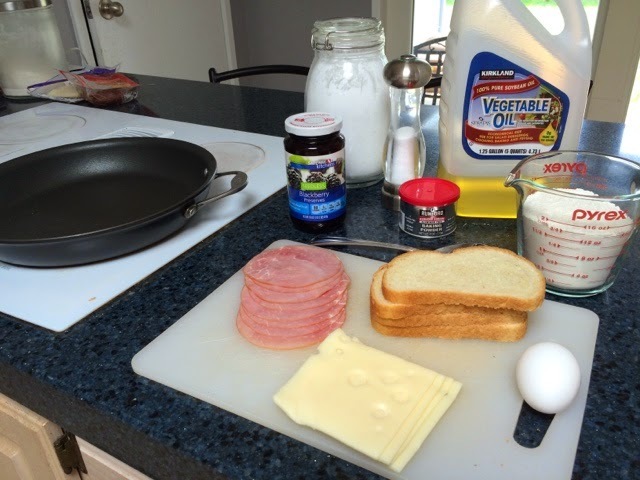 I'm a bit of a picky eater and a sweet ham sandwich is a little out of my comfort zone, so I was nervous. But, this was delicious and not terribly complicated to make. I'm looking forward to having one in Disneyland on my next trip!! On one slice of bread, arrange 2 slices of ham, turkey, and cheese, covering the bread evenly. 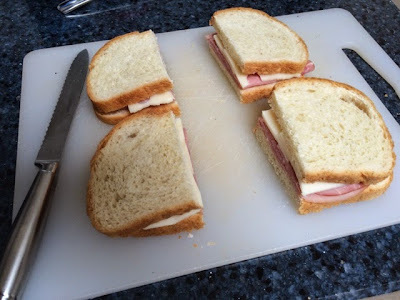 Place another slice of bread on top and slice each sandwich in half. 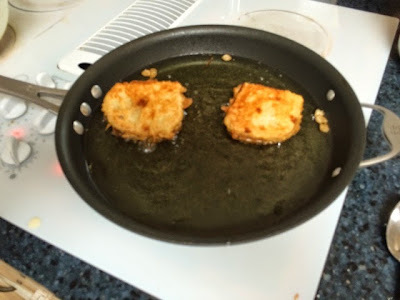 Cook one at a time, and allow the oil to reach the desired temperature between each. Sprinkle with confectioner’s sugar and serve with blackberry preserves on the side.